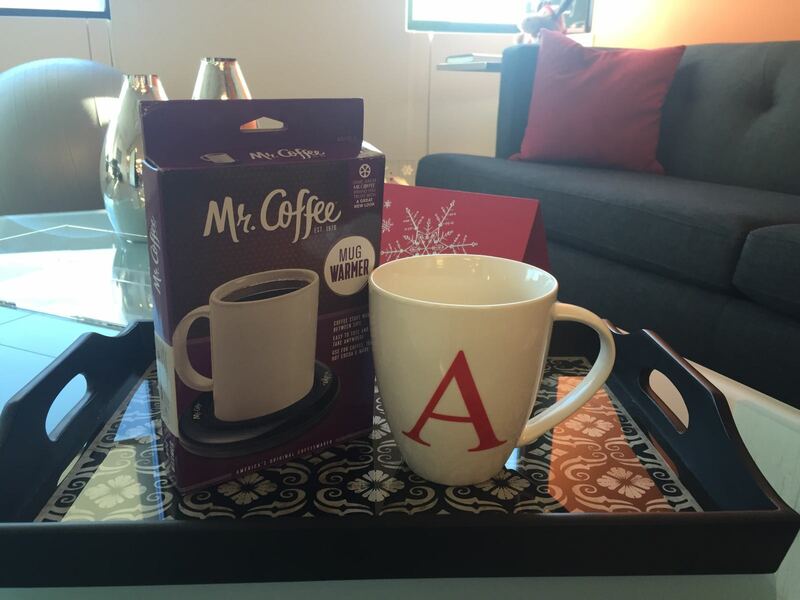 We thought we would surprise Audra, the CEO, this morning with a festive gift…we often see her re-heating her tea in the microwave as she goes in and out of client meetings and calls, and she lets her drink get cold. The answer? We got her a mug warmer, so that hot beverages stay hot between sips (other brands are available…maybe?!). We saw her eyes get misty when she opened it, RESULT. Although now she needs to find a different way to get her cardio, as the “reheating walk” is no longer necessary.